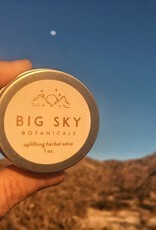 Handcrafted botanical wellness products created with love in the high desert of New Mexico. See below for additional product information. Cayenne and ginger are naturally warming, anti-inflammatory, and pain relieving spices that have been used for thousands of years to help treat many health problems. Arnica and camphor are natural pain relievers, promote blood circulation and reduce swelling. 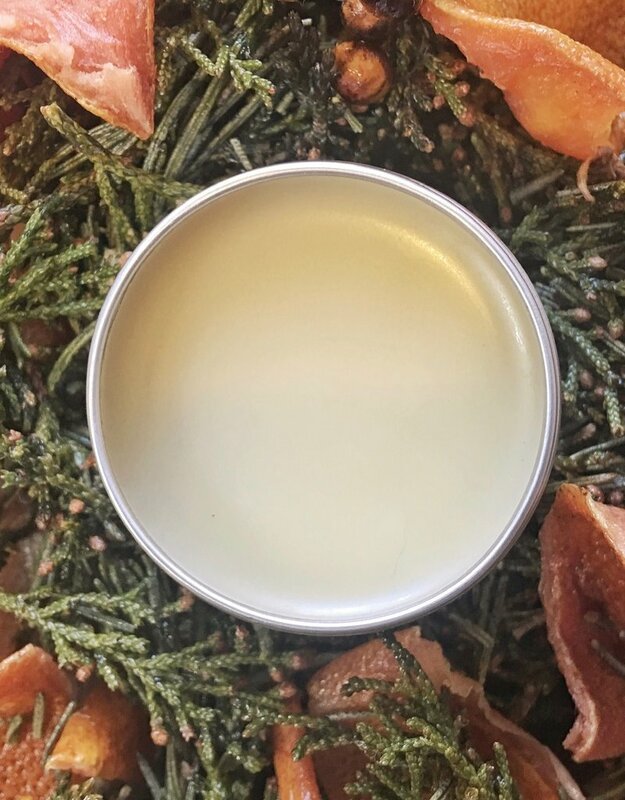 The healing properties of all the ingredients in this salve make it a natural addition to your home remedy kit. Ingredients: cayenne. ginger. arnica. camphor. organic avocado oil. organic shea butter. organic beeswax. vitamin E oil. 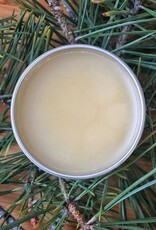 The salve can be used to help relieve sore muscles, nerve pain, sprains and strains. Rub some on your chest to help with congestion and colds. 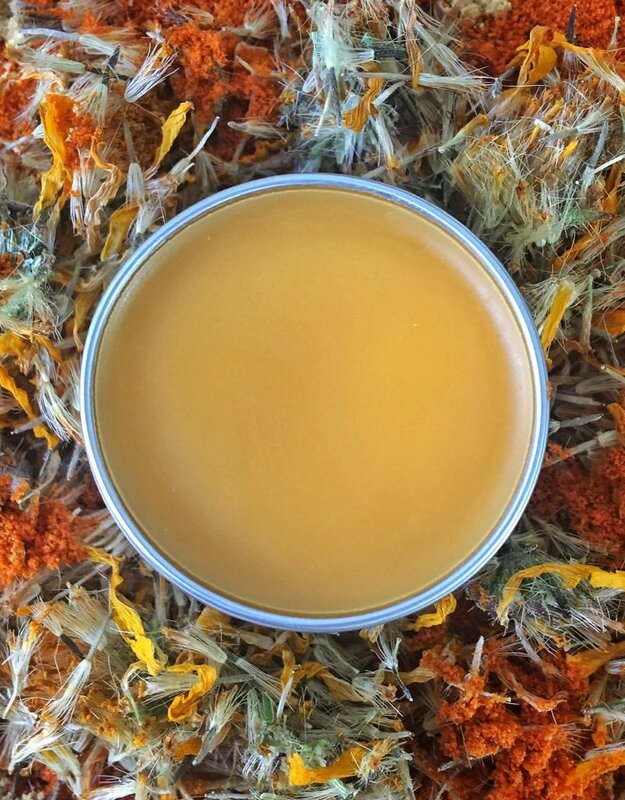 This energizing salve helps support and elevate your mind, body, and spirit. Juniper, grapefruit, and rosemary are all uplifting, medicinal, high vibrational plants. They contain antioxidant, anti-inflammatory, and antibacterial properties. They also help with stress relief, clarity, cleansing, and peace of mind. 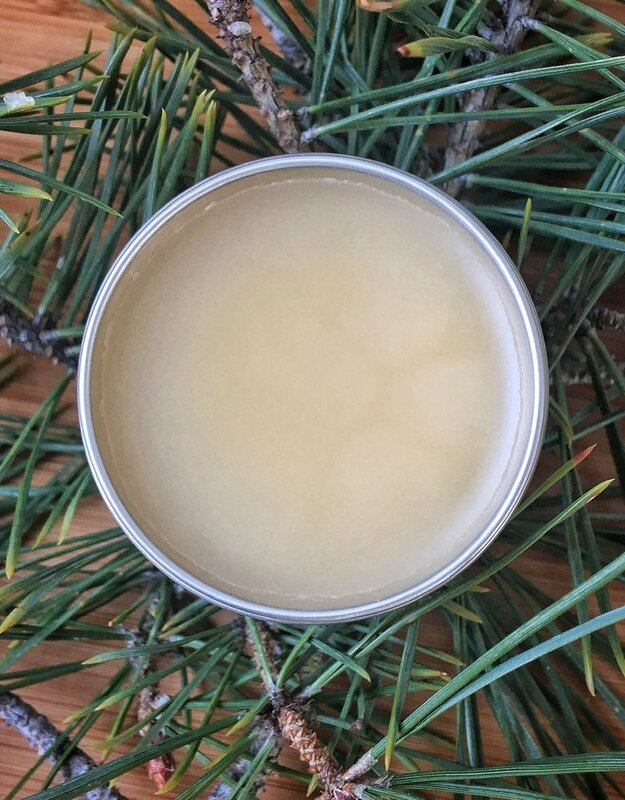 This uplifting salve is incredibly soothing for any areas of tension and inflammation. It is super moisturizing for cuticles and dry skin, keeping hands and feet nice and soft in the harsh winter months. Ingredients: grapefruit. juniper. rosemary. organic avocado oil. organic shea butter. organic beeswax. vitamin E oil. 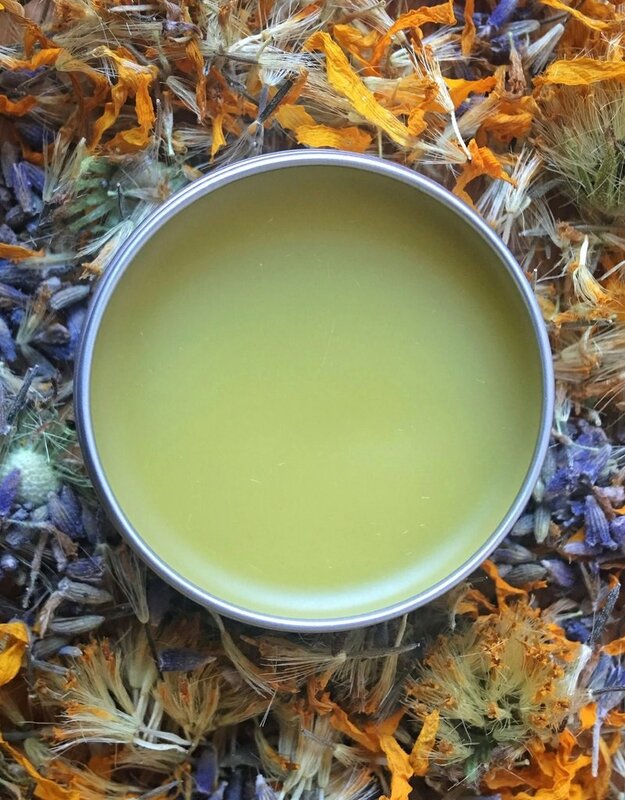 This soothing, pain relieving salve is created with healing herbs and has a light, calming lavender scent. 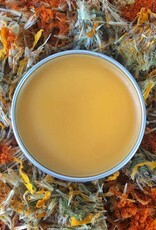 Arnica, calendula and lavender are naturally antiseptic, antibacterial, antimicrobial, and antifungal which makes this a great addition to your natural first aid kit. The herbal combination is anti-inflammatory and calming, which helps promote healthy, happy skin. Arnica is a natural pain reliever, so this is great on sprains, strains, or tight, sore muscles, and makes an excellent massage ointment. 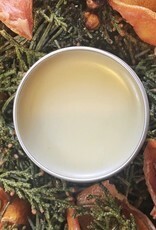 The salve can be used to treat abrasions, bruises, inflammation, burns, eczema, dermatitis, and bug bites. It is incredibly soothing and moisturizing for cuticles and dry skin, keeping hands and feet nice and soft in the harsh winter months. Ingredients: arnica. lavender. calendula. lavender essential oil. organic avocado oil. organic shea butter. organic beeswax. vitamin E oil. 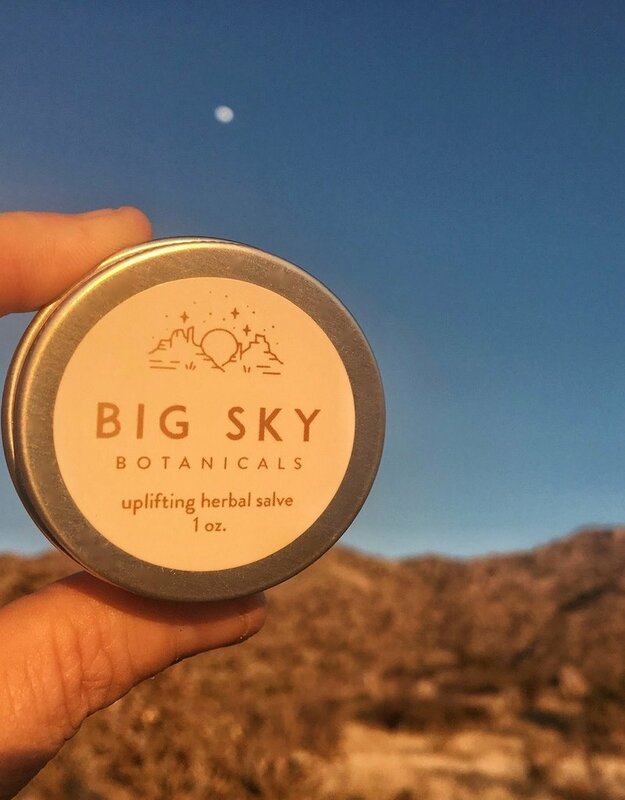 The scent of this yummy salve will transport you straight to the mountains of the New Mexican high desert. Piñon pine resin has been used in Native American medicinal and spiritual practices for centuries, and is known for it's healing and high vibrational properties. Piñon pine resin is naturally antiseptic, antibacterial, antimicrobial, and antifungal. 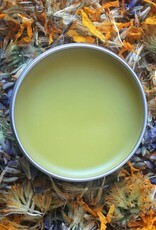 The salve can be used to treat abrasions, bruises, inflammation, burns, eczema, dermatitis, and bug bites. It is incredibly soothing and moisturizing for cuticles and dry skin, keeping hands and feet nice and soft in the harsh winter months. Ingredients: sustainably wild-harvested piñon pine resin. organic avocado oil. organic shea butter. organic beeswax. vitamin E oil.